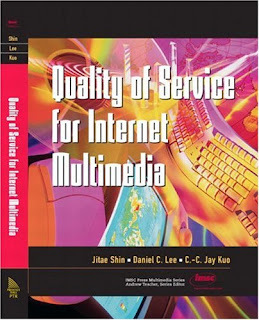 Over the last three months i read a really amazing book about quality of service techniques. Today everyone has internet access with more than 50Mbit/s, it seems like overbooking does not happen anymore and traffic priorization is no longer needed. But this is only the half of the truth: Using cloud service, video streaming, onling gaming, ... you can really fast reach the limit of your internet access bandwith. Companies face the same problem at a different scale: They can buy up to 1Gb/s but if they use techniques like shared workplace, cloud storage etc. even they will exhaust their bandwidth. It covers the theory and practice for multimedia streaming which is just one of many categories of internet traffic. It is clear that the proposed solution can only be implemented by internet service provicers - but here you can understand what they do und why they are doing it. "Today everyone has internet access with more than 50Mbit/s" ... That's a joke, or your view of "everyone" is very narrow.